PLEASE NOTE: We cannot accept bookings or any Flexitime for the Egg class until after Feb 2019. This is due to specialist plants used in the class are not available until end of Feb. Please let us know some dates and we will get back to you once our trees are available. These are very limited edition Glass Egg Terrarium Gardens. 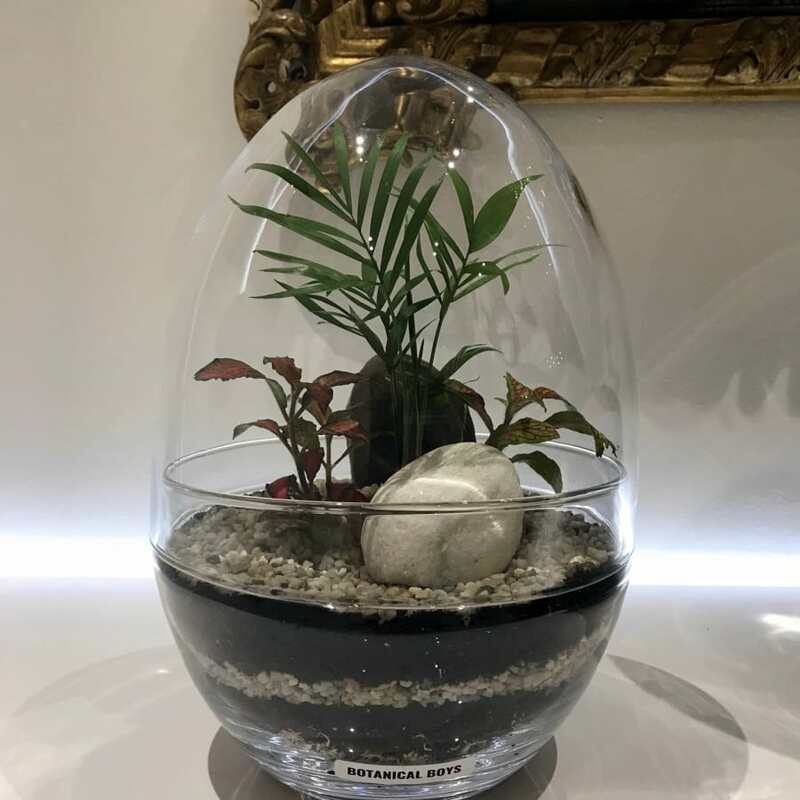 They are beautifully mouth blown pieces of glass egg shells which you will get to turn into self-sustaining living gardens to take home with you. They are very stylish and unique designs. You will arrive at our Dalston Studio, in a secluded private Warehouse Bible Factory, with private roof garden. 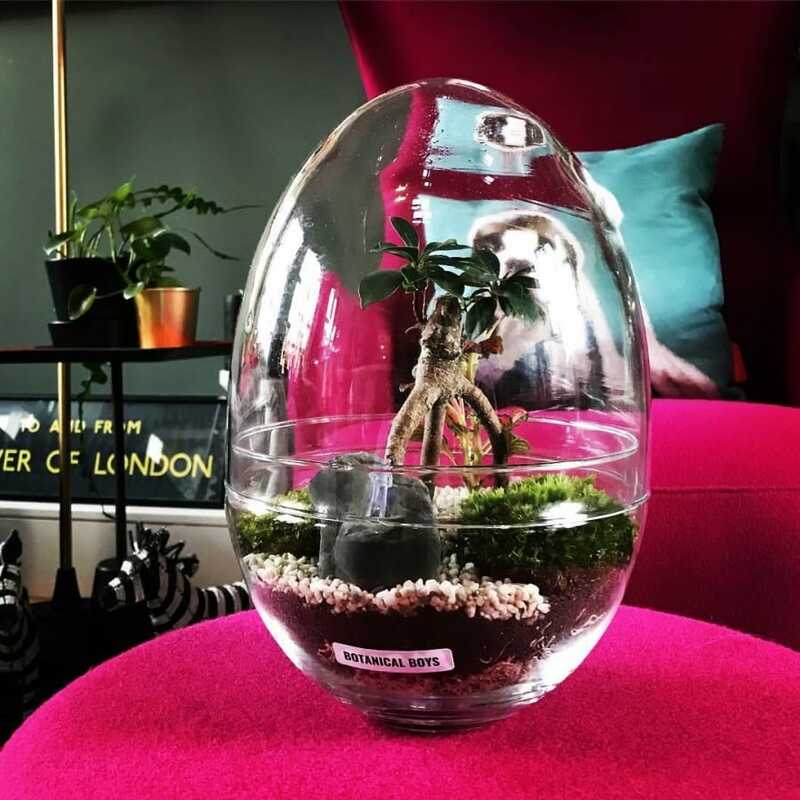 You will be surrounded in greenery and topped up with hot teas and Prosecco whilst listening to some 80's tracks to smooth your mindful journey into making a beautiful terrarium garden in a peaceful, relaxing and creative way. 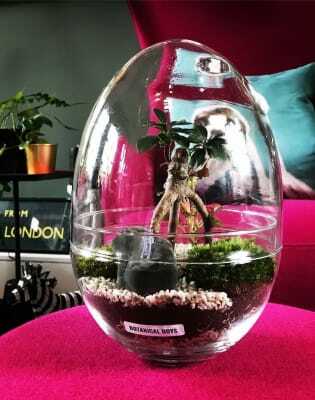 Eggs are a symbol of life and the plants inside symbolise health and strength. We very much look forward to be welcoming you to our workshop. Did you know the fashion industry began using embroidery techniques in the early 1800's depicting imagery of the first tree ferns discovered in Australia! The early Victorians loved Ferns, as they were fascinated about their history that pre dated the Jurrasic period! 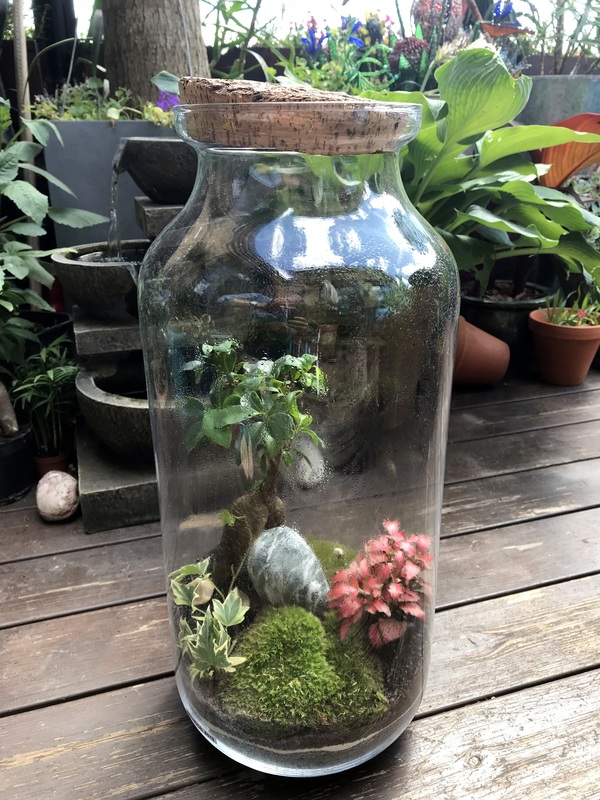 Ferns were later used in large Terrarium Vessels and shipped all over the world!